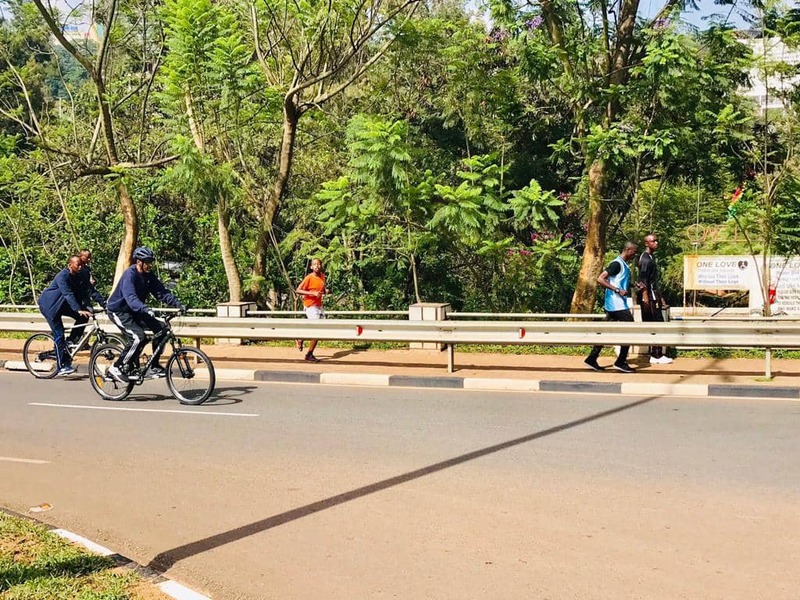 President Paul Kagame rode a bicycle on Sunday morning and attended the popular “Car Free Day” communal sports in Kigali City. The President urged Rwandans to participate in sports because it is healthy. “I can see both young and old people here. I would like to thank you for having attended these physical exercises. When you take good care of your body, the brain functions well too,” he said. The activity, which takes place twice a month on a Sunday, aims at helping Rwandans to do physical exercises and cutting down carbon emissions.